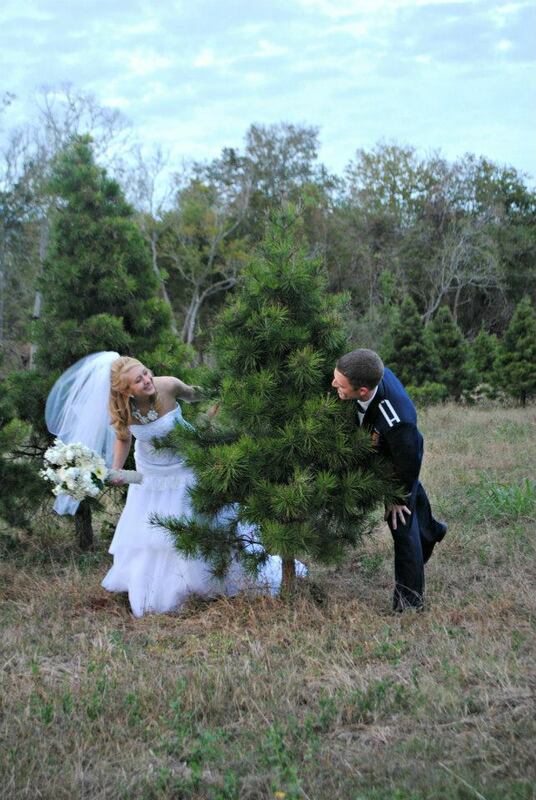 Rocky and Leigh Ann Smith founded Holiday Acres in 1999 as a choose & cut Christmas tree farm. Together with their children and help from many friends, they planted, weeded, mowed, and pruned the trees. In 2004, Holiday Acres opened its gates to families coming to choose a Christmas tree and make family memories. The farm also hosted children for school field trips and photographers conducting family photo sessions. In 2010, a simple barn was constructed to keep the tractors out of the weather. Two years later, the Smith's oldest son and his fianceé decided that the barn would be the perfect location for their wedding reception. Adding rustic cedar siding to the barn's interior dressed it up for the big event, and then the bride squad came in and transformed the simple tractor barn into every bride's Pinterest barn wedding fantasy come true. A chorus arose among family and friends that an event venue must be added to Holiday Acres. Over the next 5 years, two Holiday Acres employees had their weddings at the farm, and the vision for adding a venue to the Christmas tree farm was refined. A covered pavilion with restrooms and a serving kitchen was built, the barn floor was stained and wood ceilings and HVAC were added, along with patios, decks, and landscaping. In 2018, the venue officially began accepting event bookings. Whether it is the site of families making Christmas memories or of a celebration of the most special day of your life, we wish to see God glorified in all things and in all ways at Holiday Acres. Get in on the fun with a farm wedding of your own!